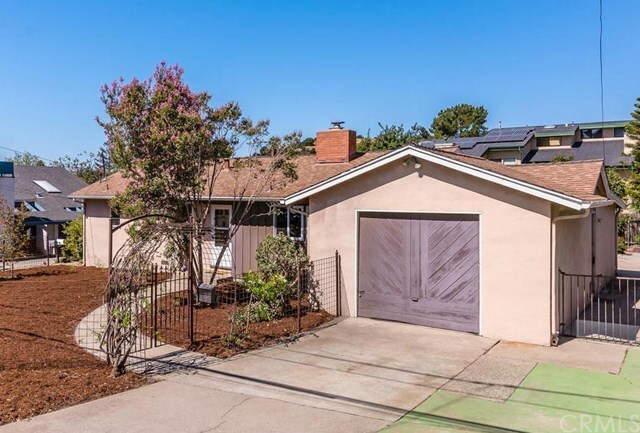 On a generous parcel in the Sinsheimer neighborhood, is this circa 1953 San Luis Obispo bungalow. Single level, with exposed decorative beams in living area, remodeled kitchen, attached garage, and enclosed front and back yards. With over 8100 sq. feet, options for parcel use abound. Woodburning fireplace in living room is as functional as it is attractive. Tongue & groove ceilings and paneling in several areas of home are a throwback to yesteryear. Some original wood flooring is exposed in bedrooms. Mid-century metal casement crank windows in living room provide vista to rear yard with a variety of ornamental trees and multiple fruit trees. Convenient storage shed in rear yard.